Kara Loves Coco is a place where I share all of my lifestyle and fashion inspiration. My style, like so many of you revolves around combining high and low (think Chanel with Forever21) items. I believe in investing in quality pieces that will last a lifetime and never go out of style while being thrifty with trendy items to balance out your wardrobe (and your wallet). I took my passion to work and began my career as a personal stylist at Neiman Marcus. It was there that I established an eye and taste for those beautiful luxury items that you dream about at night and drool over in magazines. I never felt like I was working because I truly loved what I did each and every day. I met my husband in Chicago while working at their Michigan Avenue flagship store and after six years of city living we both took jobs in San Diego where we currently reside with our daughter Colette and our Chihuahua, Lola. I’m obsessed with lipstick, coffee table books and reading fashion magazines. 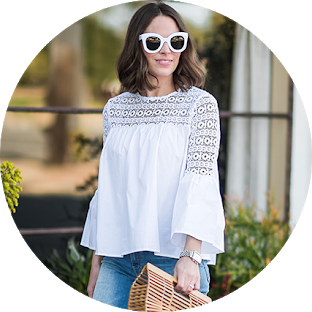 After years of styling the wardrobes of girlfriends, co-workers and family I decided to create a blog where I could share my style inspiration with all of you! When I’m not blogging you can find me working my day job as a cephalometric analyst and spending time with friends and family. I believe that a great outfit, manicure or lipstick can change the course of your day. I hope this blog is a source of inspiration to you and thank you for reading! Disclosure: Kara Loves Coco may earn compensation from advertising, affiliate programs and brand collaborations. Any products that have been gifted will be marked “c/o”. Although I participate in these programs, all thoughts and opinions are my own.